Think that Google doesn’t know enough about your life already? With the latest update to Google Search, family ties will be added in to the growing list of info that Google has stashed on you. 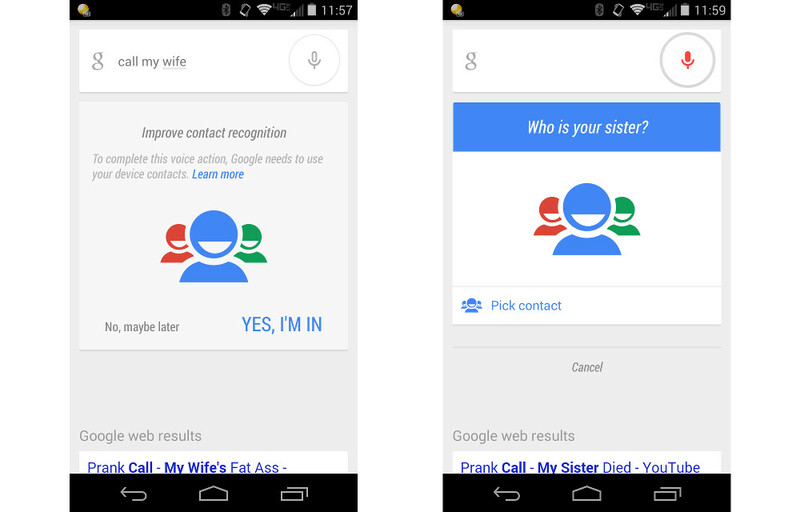 Thanks to the update, specific contacts can now be saved as Mom, Dad, Sister, Wife and so on and so forth. 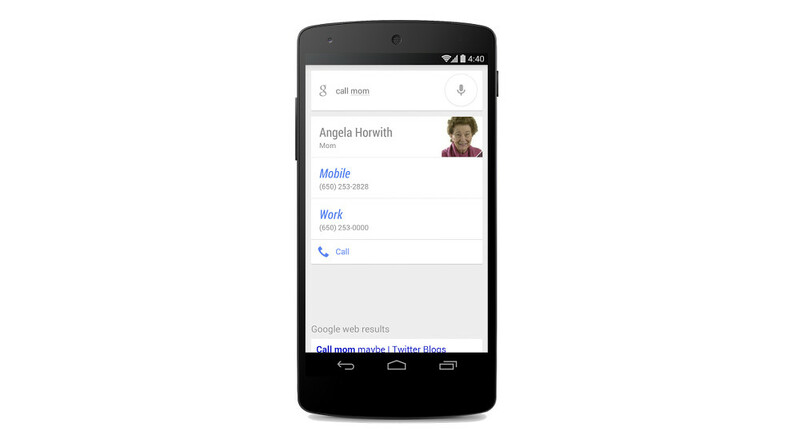 Following the update, you can simply state, “Ok Google, call Mom” and it will do it for you (after you have set it up). But this begs the question, why wouldn’t you have your mother’s phone number on speed dial already? Bad child. As it is now, this is an opt-in service. In order to opt-in, all you need to do is open Google Search, say “OK Google, call Mom.” You will then be prompted to say “Yes, I’m in,” followed by a question of, “Who is your mom?” You can set your mom, sister, brother, wife, dad, etc. from there. This is another step forward for Google Now, showing that Google isn’t slowing down with the innovations to this new information platform. Go update the app and add your momma in there.